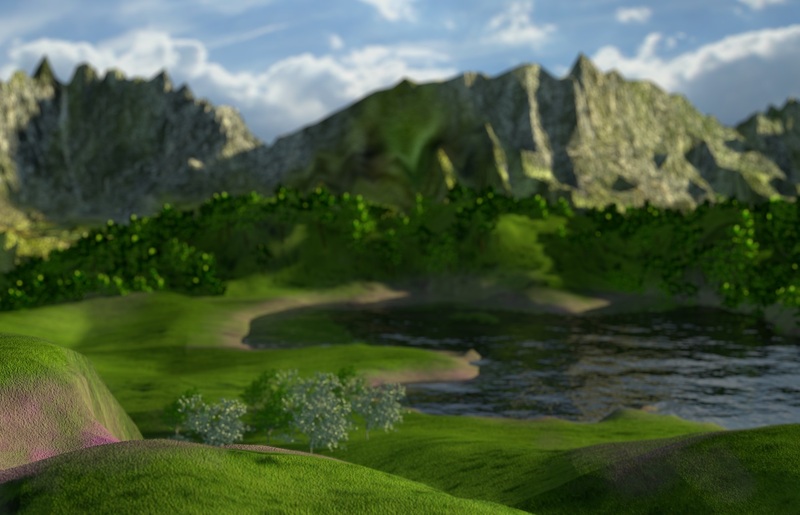 In this tutorial, you will learn how to quickly generate mountains in Blender! 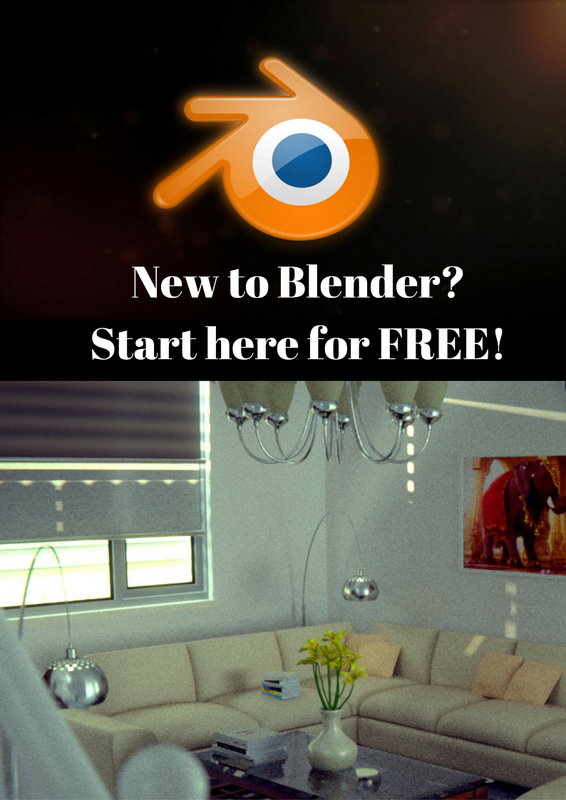 Open up Blender and delete everything if you want. We need to use a plugin that will generate mountains for us. So go to File -> User Preferences -> Addons. Look for (or type in) the addon ‘ANT Landscape’. Enable by checking the box on the right (near the scared-looking human figure). Close the User Preferences window. 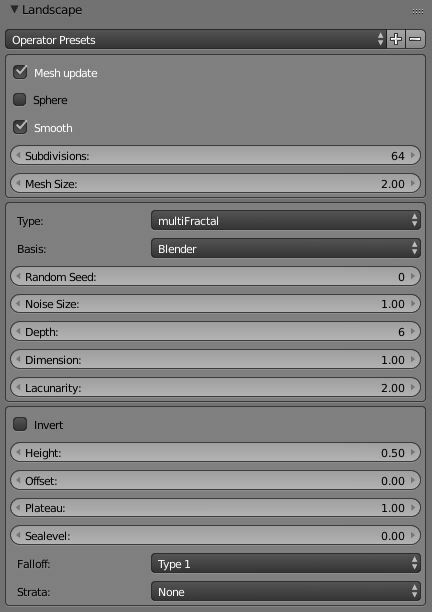 Now add the landscape by Shift+A -> Add -> Landscape. You should now have your own little mountain! But wait! Don’t do anything with the mountain yet! You can customize that mountain to look more like what you want. On the left, you will see mini-panel called Landscapes (if you don’t see it, press T to toggle the toolbar). Here, you will be presented with a bunch of options you can change. Subdivision: This subdivides your mountain. The more subdvisions, the more detail you can throw at your mountain. Mesh size: Changes the size of your mountain. Type and Basis: Gives your mountain different distinctive looks based on textures. Random seed: Changing this gives a unique mountain while maintaining all the other settings. Good if you need a few of the same type (or breed) of mountains in one scene but want to make each of them look unique. Noise: The smaller the value, the more distortions and bumpy noise you’ll have on your mountains. Height: The maximum height of the mountain. Offset: Offsets the height of the mountain overall. Plateau: The height at which the mountain should have a plateau (look flat). Good to create Grand Canyon type of scenes. Sealevel: The height at which the sea level is. The naming is a little odd in my opinion, it should be called ground level. I would generally add the sea above this. I hope this tutorial has helped you and hopefully you will have made your own mountain in 5 minutes (or less) as this tutorial promised! Feel free to drop a comment below and ask questions about anything!